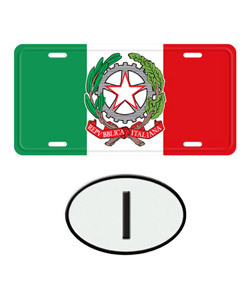 Italian automotive nameplates like Ferrari, Alfa Romeo and Lamborghini are among the most coveted brands in the world. 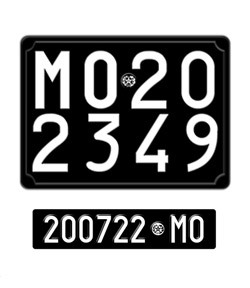 Collectors bid exorbitant prices for these cars and are absolutely firm that the license plates for their show cars be historically accurate. 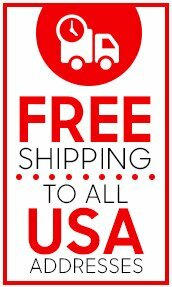 Licenseplates.tv has provided the unique solution. 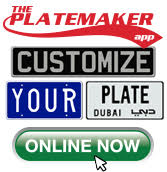 We can customize virtually every Italian license plate ever made which are engineered to meet the exacting standards for car shows across the world. 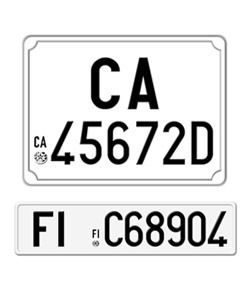 Licenseplates.tv offers embossed matte black aluminum Italian license plates with the correct fonts and sizes for Italy -we cannot locate any other manufacturer with the same offerings. 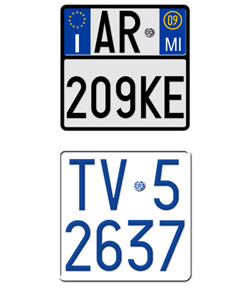 Whether collectors seek the old PROVA license plates or the current European style license plates from Italy, Licenseplates.tv can meet the exacting demand. 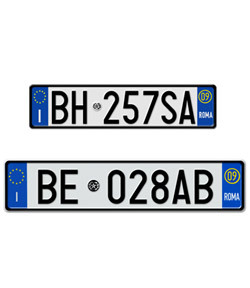 We supplied license plates for the movie Angels and Demons which was filmed in Italy because the studio was unable to locate all the license plates needed from a single source which reflected a pure authenticity.